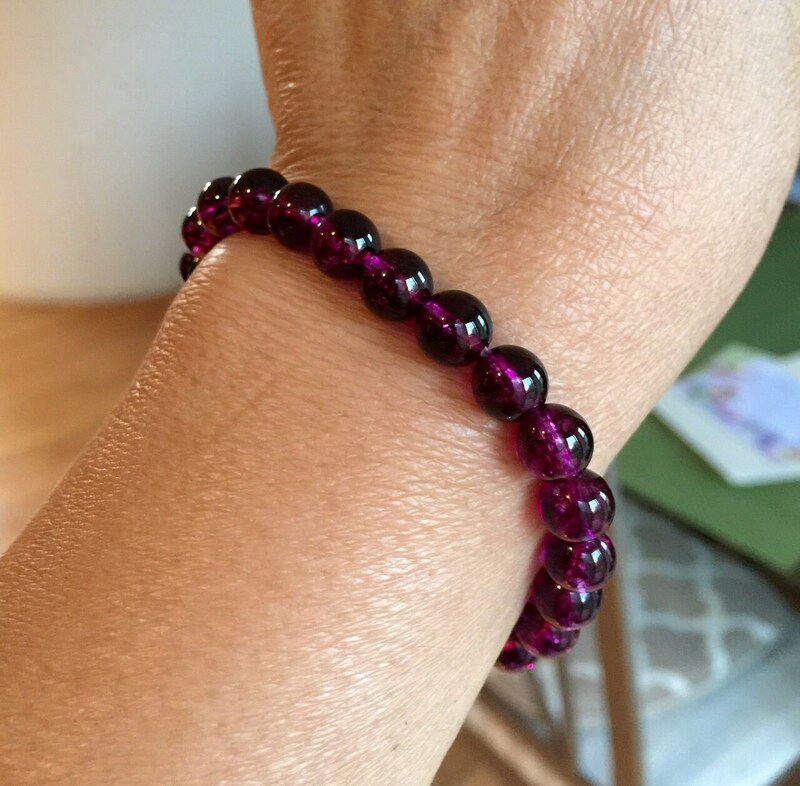 A beautiful bracelet made with A++genuine natural Tourmaline Gemstone. 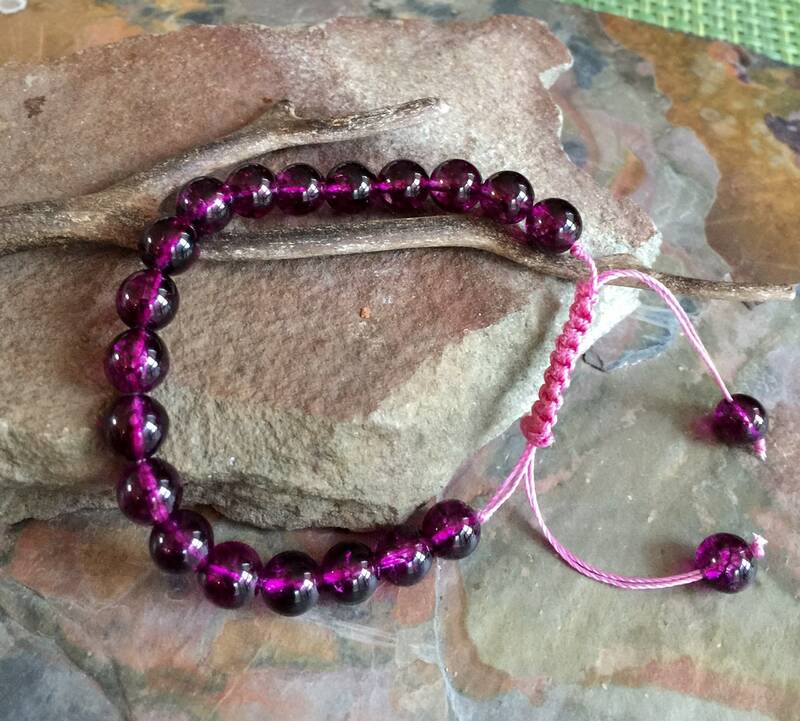 This bracelet is strung on a strong double strand macrame cord. 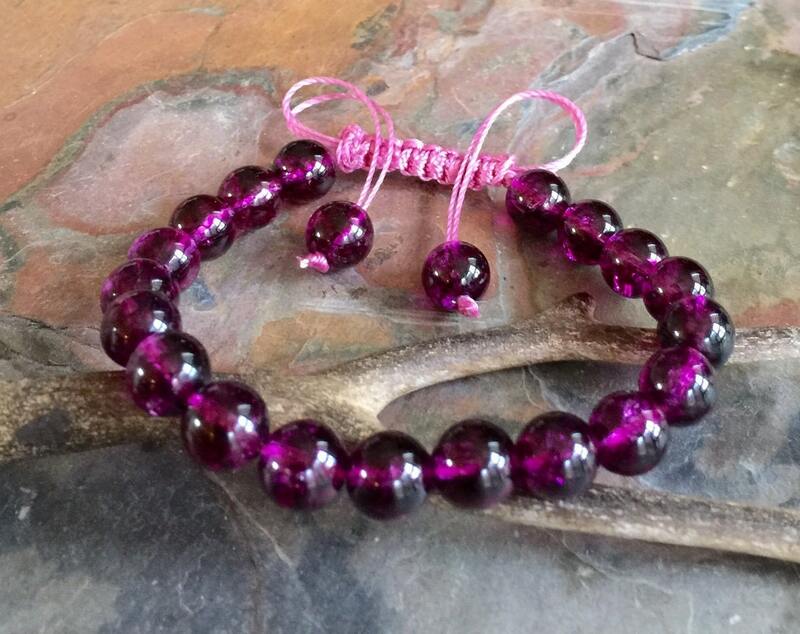 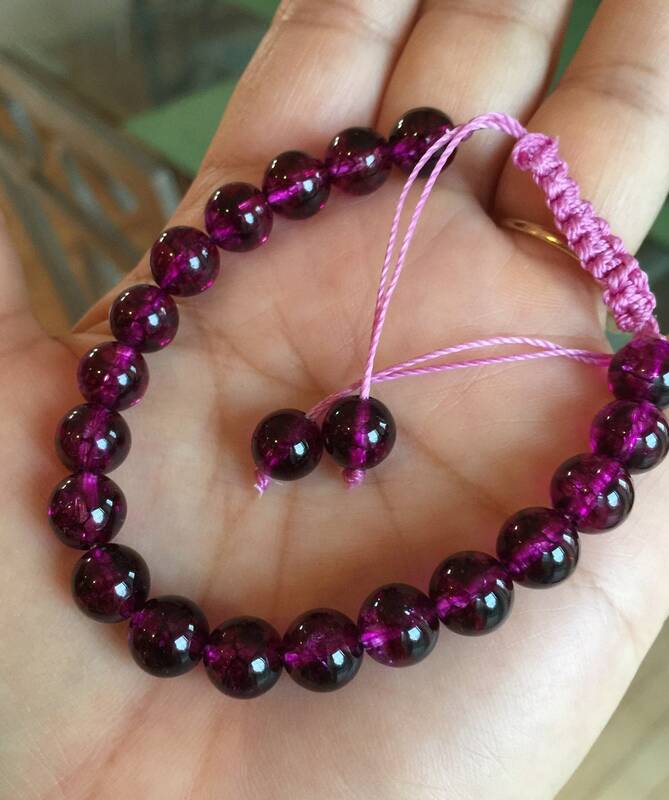 Tourmaline bead measures 8mm displays gorgeous Fuchsia color. 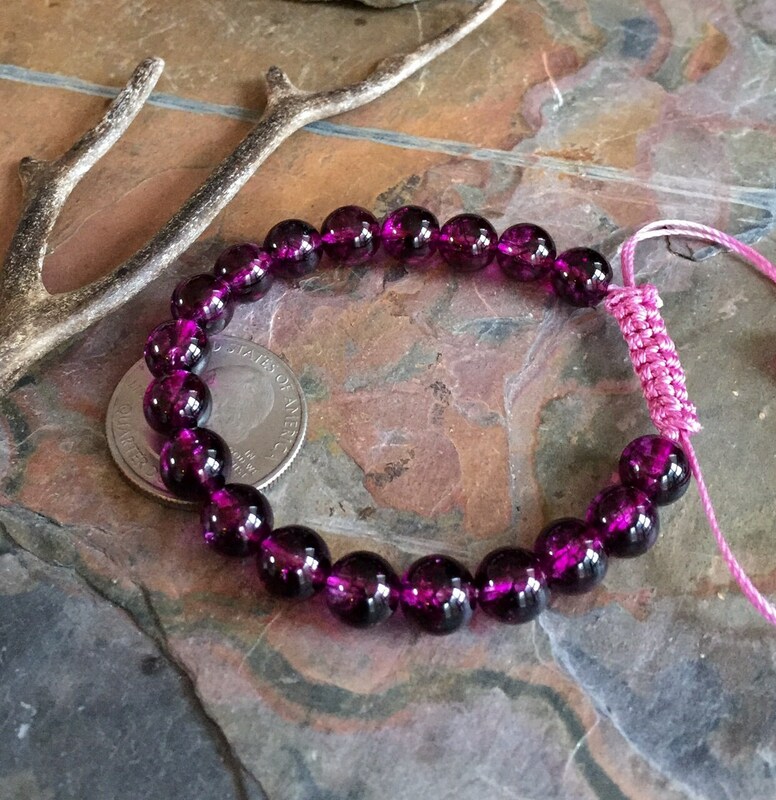 ~Photos are enlarged to show the details of the bracelet. 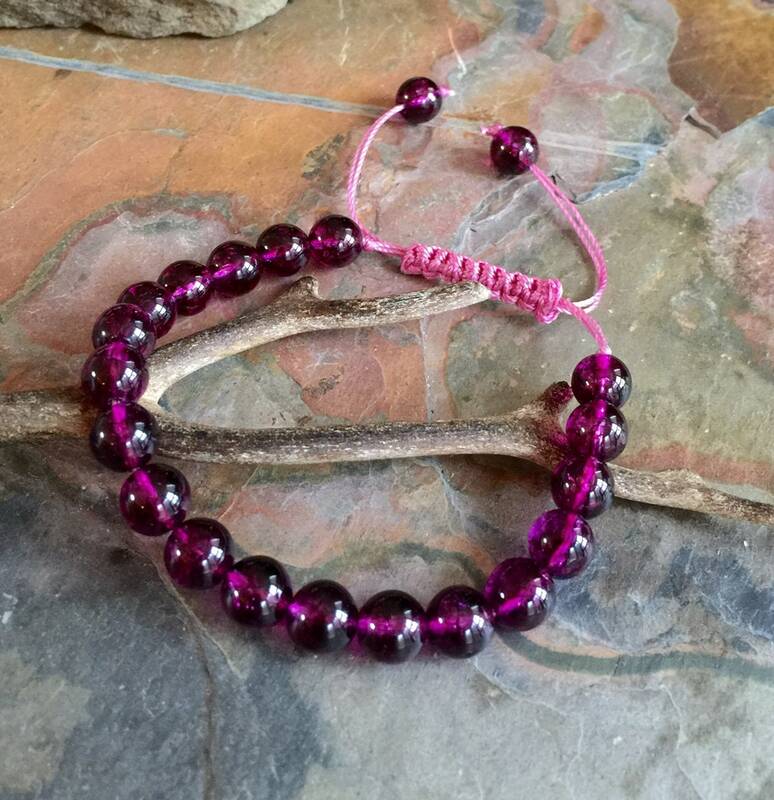 This lovely bracelet measures 6.5 inch and adjustable up to 8 inch. 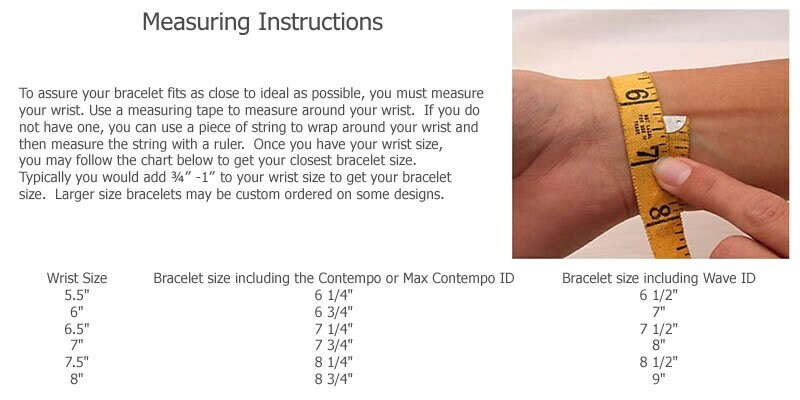 *Your order will arrive in a gift box ready for gift giving.